Rolfing® Structural Integration (RSI) is a series of myofascial soft tissue manual therapy sessions, developed by Dr. Ida Rolf. 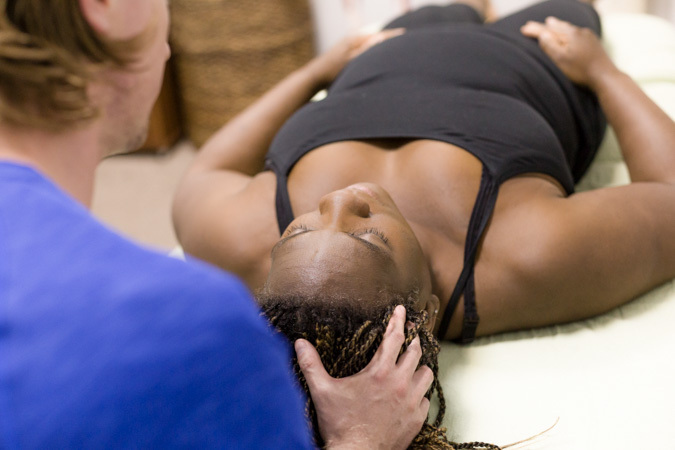 Rolfing® organizes the structure of the whole body by manipulating the connective tissue (fascia). It effectively improves postural structure, alignment and balance in the body. Rolfing® has a reputation for being deep work. If conducted by a Certified Rolfer®, the method is actually very gentle. We create lasting change by working through all the layers of tissue, from superficial to deep, over a course of the "Ten Series" sessions. The result is a reduction of strain patterns throughout the entire system. Current research demonstrates that RSI allows the body to conserve energy by creating efficient muscle use and refining movement patterns for economical use.